I have a surprisingly deep knowledge of classic country music. 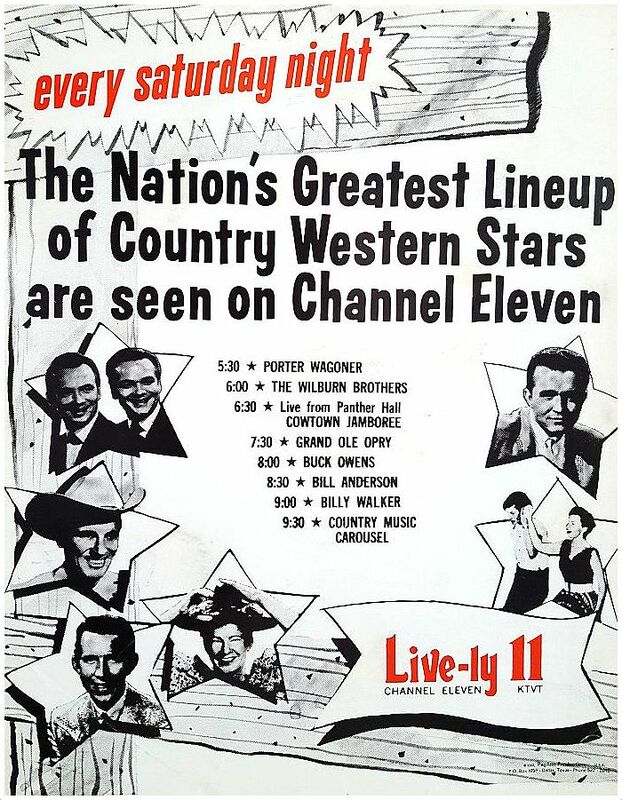 And it can all be traced back to sitting with my father every Saturday night as he watched the jam-packed lineup of country music TV shows on KTVT-Channel 11. Which I also have a surprisingly deep knowledge of. If only by osmosis. Thank you, Channel 11, for providing this bonding time with my father, which I didn’t really appreciate as a child, but I do now. 1969 ad from an odd little local publication (which probably used to belong to my father) called Country and Western — The Sound That Goes Around the World, published in DFW by PegAnn Production. I’m pretty sure my father would agree on that whole-heartedly. You must do an article on Sportatorium wrestling. In mid 50s, A good guy was Pepper Gomez (the tummy claw) and abad guy that jap Duke Keomuka.